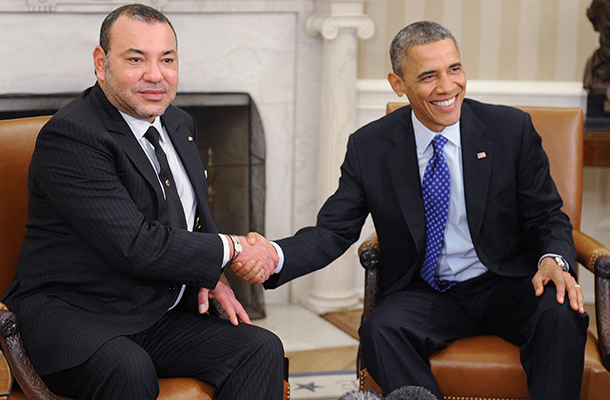 The Joint Statement issued after last November’s visit between King Mohammed VI of Morocco and President Barack Obama was quite explicit. There were concrete pledges of economic, political, and security cooperation and collaboration, as well as a strengthened commitment by Morocco on human rights and by the US to maintain its consistent policy of support for a Western Sahara solution based on autonomy under Moroccan sovereignty. So it makes sense to take a closer look at the performance in key sectors by both parties a year later and gauge where there has been progress and where greater efforts are needed. The opening paragraphs addressed the “strong and mutually beneficial partnership and strategic alliance” with a pledge “to advance our shared priorities of a secure, stable, and prosperous Maghreb, Africa, and Middle East.” At the top of the list was support for democratic and economic reforms, including US help to “strengthen Morocco’s democratic institutions, civil society, and inclusive governance.” On Morocco’s agenda are support for the UN human rights regime, eliminating military trials of civilians, protecting the rights of migrants, refugees, and victims of human trafficking, and supporting full women’s participation in public life. Morocco has been moving forward on all of these issues and others including a bill ending military trials of civilians that is currently in Parliament, as is an upcoming draft of a bill regarding NGOs and associations. A wide-ranging program for the protection of migrants was announced earlier this year and is drawing plenty of public attention. A draft media law was presented for public comment last month and debate on judicial reform is ongoing. On other fronts, progress continues as the then-UN High Commissioner for Human Rights Navi Pillay visited Morocco earlier this year honoring the country’s achievements, while hearings are continuing on enhancing gender equity in the workplace, in the political parties, and in the upcoming local elections. It is anticipated that the World Forum on Human Rights recently held in Morocco will break new ground in strengthening human rights protections in Morocco. On economic cooperation efforts, the US and Morocco are deep in negotiations on a second Millennium Challenge Corporation (MCC) Compact focusing on inclusive human development; the fifth Global Economic Summit was held in late November in Marrakech, and there was a very successful Business Development Conference – part of the bilateral Strategic Dialogue – in Rabat this past March. Both countries are committed to building an even more robust Free Trade Agreement and more delegations between them. The US has been strongly supportive of Morocco’s efforts to act as a bridge to Africa for businesses. Morocco’s highly visible profile during the African Leaders Summit in Washington DC this past summer; its continued support from USAID for inclusive human development programs; and its role at the United Nations and other international organizations have drawn kudos from US leaders. Human rights protections and resolving the Western Sahara conflict are the two major areas of consultations between the allies, apart from counterterrorism concerns. The US supported an extension of the MINURSO US Security Council mandate in April, and is seeking ways to improve human development efforts in the southern provinces, while exploring how to move formal negotiations forward at the UN based on Morocco’s autonomy proposal. Judging by the remarks of US officials, from the President and Vice President to members of the Joint Chiefs of Staff, Morocco is playing a leadership and supportive role on regional issues as well as in the coalition countering ISIL . As importantly, Morocco’s pioneering efforts in countering extreme violence are being shared with more than a dozen African countries. Recently, Morocco played a key role in the Global Counterterrorism Forum to “strengthen regional political, economic, and security ties across North Africa and the Sahel, including through a reinvigorated Arab Maghreb Union (AMU) and other regional forums.” And Morocco responded to the US initiative to join the International Institute of Justice and Rule of Law in Malta “to train a new generation of criminal justice officials across North, West, and East Africa on how to address counterterrorism and related security challenges through a rule of law framework.” While the King continues to call for opening the Morocco-Algeria border and resuscitating the AMU, there is little that can be accomplished without more concrete actions by the US to encourage Algeria’s cooperation. A useful barometer of where the relationship is heading is to parse the US statement on the meeting of Vice President Biden with King Mohammed VI at the beginning of the Global Entrepreneurship Summit. With so much at stake, some believe that the process of parliamentary action on key bills may be not as speedy as it could be, yet the process of consultation and consensus-building among stakeholders remains intrinsic to decision-making in Morocco. A year on, it is clear that the bilateral relationship is going from strength to strength and next year’s report card will be even more favorable.